This is my "INSPIRATION" card for Crafter's Castle first monthly challenge!!! Challenges start the first Saturday of each month and go through the end of the month. I printed out the butterflies, colored them with Ohuhu colored pencils, and fussy cut them out. 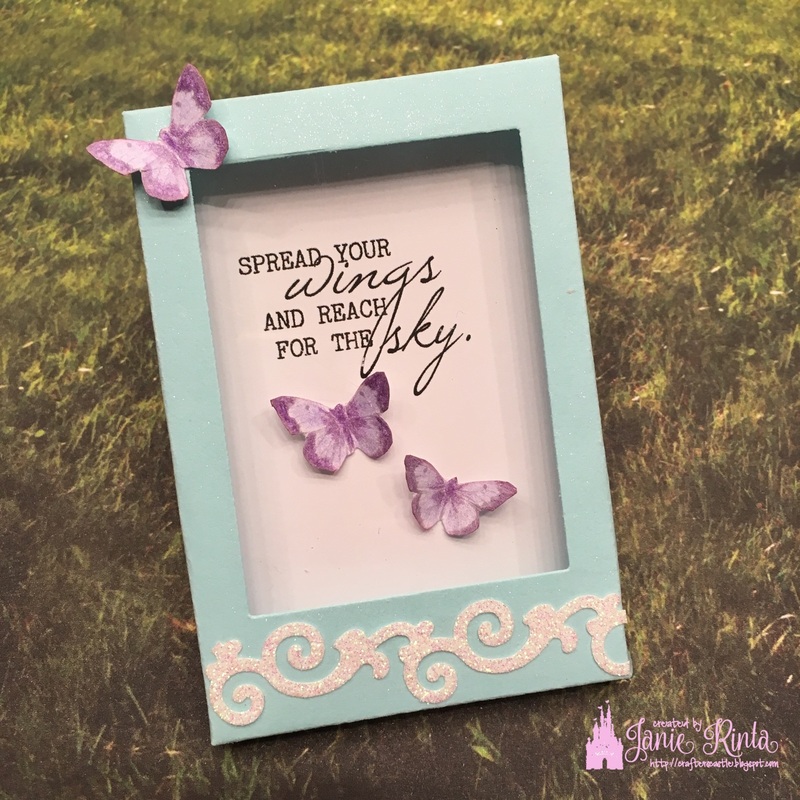 I also printed the verse from the same digital stamp set and put it inside the shadow box that I made with a Sizzix shadow box stamp & die set by Lynda Kanase. I put two of the butterfies inside the shadowbox and one outside to add more dimension. I used CTMH Clear Shimmer Brush on the box to add some sparkle, as well as sparkly adhesive trim along the bottom. You can also watch my video share HERE on my YouTube channel. And don't forget to check out Crafter's Castle NEW monthly challenges HERE!!! Please visit the rest of Crafter's Castle Design Team for more inspiration!